The Cingjing Veterans Farm (Qingjing Veterans Farm / 清境農場) is located near Renai Township of Nantou County. It has been opened to public since February, 1961. Farm is located at level 1750 meters above the sea. The weather is generally mild all year round. From May to September average temperature is between 15℃ and 23℃. The Farm produces different kinds of fruits: peaches, pears, plums, and kiwi fruit. Centuries ago in Nantou’s Cingjing Farm lived the groups of minorities from Mainland China’s southwest border. When the Communist took over Mainland China in 1949, many of these people fled to the Burmese-Thai-Laotian borders, joining the resistance forces in Yunnan. They waged war against the Communists in Burma in October 1960; each side suffered heavy casualties. These soldiers were ordered to retreat in 1961.Total of 253 people, including dependents, returned to Pingtung on March 24. They settled in the Cingjing Farm. Main sightseeing places in the Farm include: the Tourist Center, the Green Grasslands, the Small Swiss Garden, the Recreation Center for visitors, the Shoushan Park, the Guest House and a Stock Nurturing Center. Delicious and rare tea Jin Xuan milk oolong from Cingjing Farm is growing around 2000-2200 meters above the sea level. This is very special and limited kind of milk oolong. 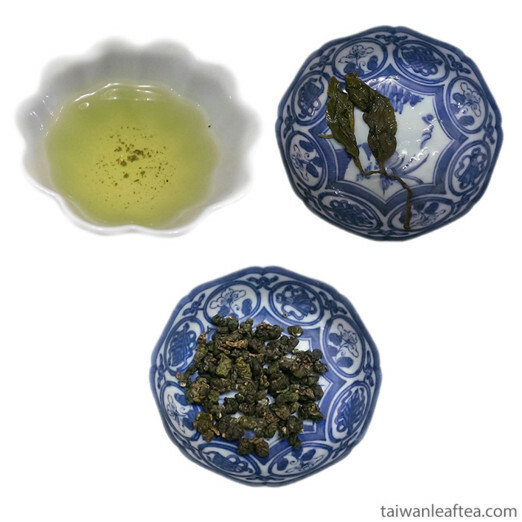 The uniqueness of milk oolong is that it has acquired "milky" flavor is not due to a chemical but due to natural processes.